Allow the engine to idle for 10 minutes or more. 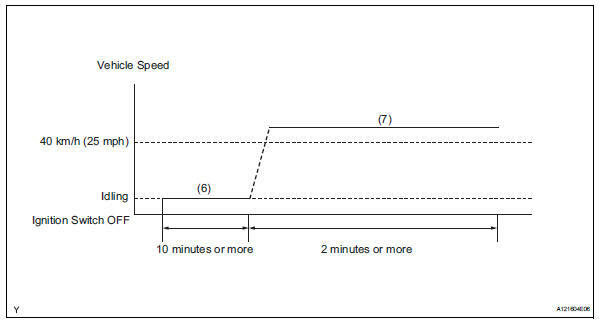 Drive the vehicle at 40 km/h (25 mph) or more for at least 2 minutes. Check the readiness monitor status displayed on the tester. If the status does not switch to compl (complete), make sure that the preconditions have been met, and repeat steps from (5) to (7) described in the drive pattern above.